3D Panels offers creative and modern solutions with high end, long-lasting ecological materials. Our adaptation capacity comes from our extensive expertise in cladding and architectural panels; their shapes and finishes. 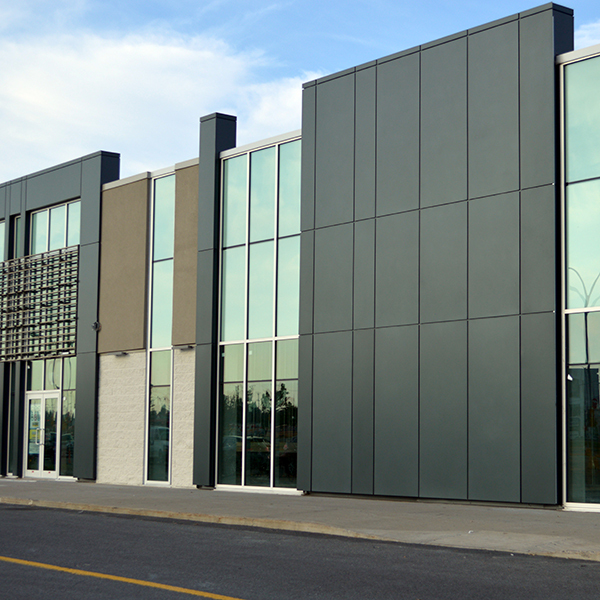 DURALUM panels are manufactured from aluminum and are predominantly used as a finishing touch for exterior walls. Made from aluminum composite sheets, FUTURA panels are the product of choice for those wishing to combine creativity, innovation and durable solutions. Our manufacturing plant includes a section exclusively dedicated to mouldings and our bending services. We are entirely equipped to bend materials according to your needs, regardless of the amount needed, and always within competitive time frames. Your project ideas are unique? You wish to have interior panels; perforated aluminum panels; especially designed panels or you prefer the timeless aesthetics of zinc or stainless steel panels? Contact us and we will find the right product for your project.